This post has already been read 67680 times! 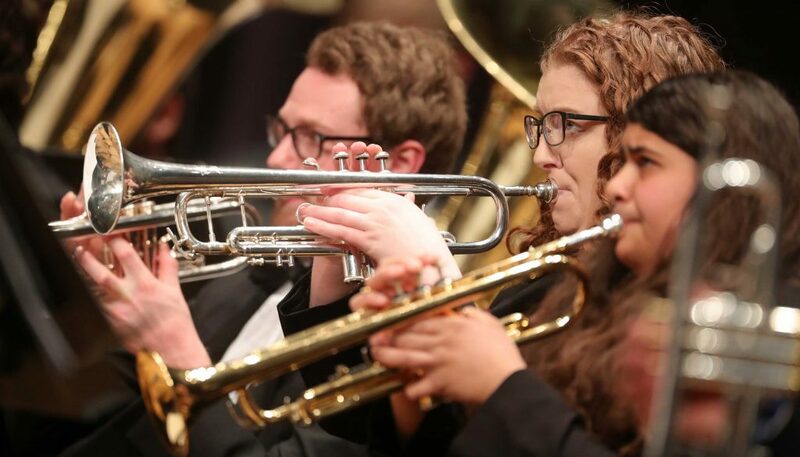 KEARNEY – Students from 96 high schools in Nebraska and Kansas will participate in the annual Honor Band and Choral Clinic hosted by the University of Nebraska at Kearney’s Department of Music, Theatre and Dance. The event, scheduled for Jan. 28, includes 725 high school music students who will work with UNK faculty and guest instructors before performing two public concerts at UNK’s Health and Sports Center. The 5:30 p.m. performance will feature the Festival Band and Honor Band, along with the UNK Wind Ensemble, and the 7 p.m. concert will showcase the Festival Choir, Honor Choir, Women’s Choir and UNK Choraleers. Tickets, which include both concerts, are $3 and go on sale at 4:45 p.m. that day at the Health and Sports Center. Participants and preschool children are admitted at no cost. The UNK Honor Band and Choral Clinic includes high school sophomores, juniors and seniors selected through auditions.